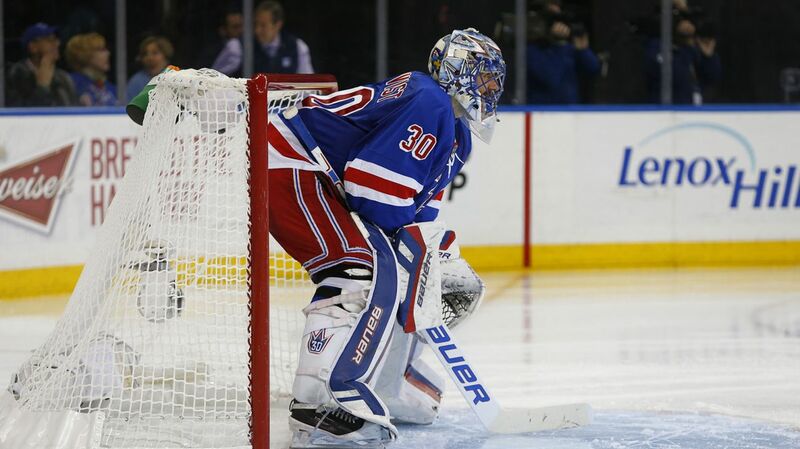 Who will backup Henrik Lundqvist for the 2015-16 season? Photo courtesy of MSG Photos. After the Rangers traded away Cam Talbot, their backup goalie for the past two seasons, Jeff Gorton was left to search for someone else to sit behind Henrik Lundqvist on the depth chart. Over the past two seasons, the Rangers learned the importance of having a quality backup, and the team did their best to fill that vacancy in the offseason. Shortly after the NHL draft, the Rangers acquired Finnish netminder Antti Raanta from the Chicago Blackhawks for prospect Ryan Haggerty, a relatively low price to pay for a backup. It seemed as if that role would be his by default, but Gorton traded for another goalie just a few days later. Jeff Gorton made a great depth trade, snagging 24 year old goalie prospect Magnus Hellberg from the Predators for just a sixth round pick, and signing him to a two year deal shortly after. Nashville had a log jam of goalies in their system and needed to clean house, which the Rangers took advantage of. So the question that remains is who should backup Henrik Lundqvist when they open the season on October 7th? Let’s start with Raanta. Out of the two goalies, he’s the only one with backup experience in the NHL. Before the trade, Raanta was the third goalie on the depth chart, behind starter Corey Crawford and the cheaper, talented Scott Darling. Photo courtesy of the Chicago Blackhawks. 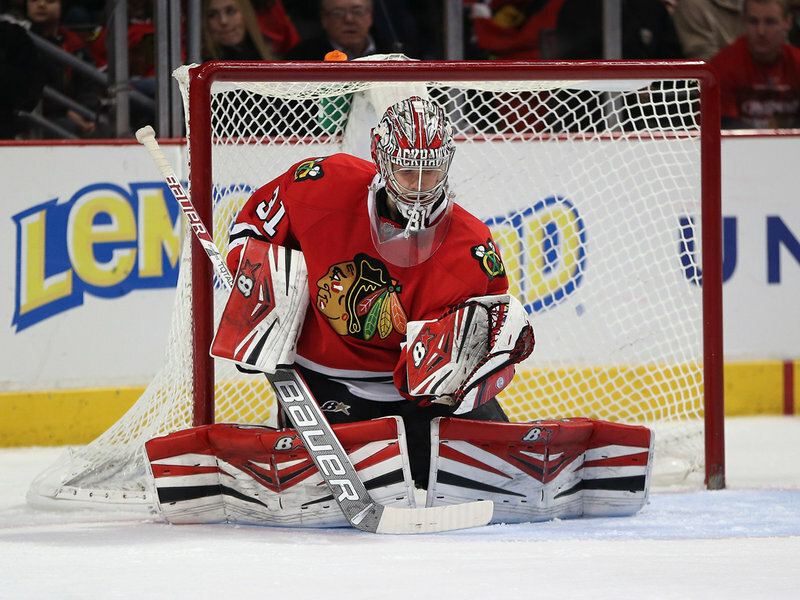 In two seasons with Chicago, Raanta posted a 20-9-5 record along with a 2.45 GAA and a .912 save percentage. He didn’t play much during the 2014-15 season, but he was very impressive in that small sample size, finishing with a 7-4-1 record and an impressive 1.89 GAA and a .936 save percentage, along with two shutouts in 14 games played. Standing at six feet tall, he plays a similar style to current Rangers goalie Henrik Lundqvist, playing deeper in his net and relying on his reactions and athleticism to make saves. His experience and success so far at the NHL level is the biggest thing that he has going for him. Alain Vigneault will be looking for a steady go-to option when Lundqvist needs rest, or in case of another freak injury. 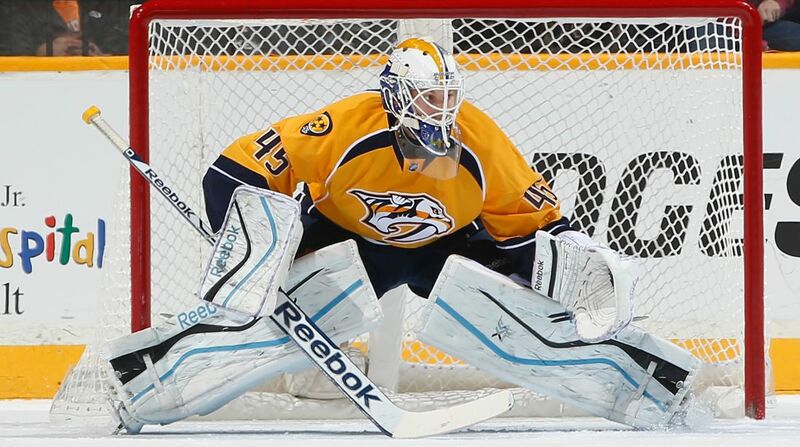 The next option is the 24-year old Magnus Hellberg, a product of the Nashville Predators farm system. The Swede has one thing you can’t teach; size. Standing at 6-foot-6 and 200 pounds, Hellberg is BIG, a growing trend among goalies in the NHL (Ben Bishop, Pekka Rinna, Mike Smith, Robin Lehner, etc.). Hellberg spent most of his time with the Milwaukee Admirals of the AHL, compiling a 15-10-6 record as well as a 2.33 GAA and a .913 save percentage, along with three shutouts. Hellberg started out the AHL season brilliantly, picking up wins in his first six appearances. In those six games, he allowed two goals or less, allowing one goal or fewer in five of those games as well. He had a fanastic month of November, posting a 5-0-1 record with a 1.28 GAA and a .950 save percentage, with one shutout in seven appearances. Hellberg represented the Western Conference at the 2015 AHL All Star game. Photo courtesy of John Russell/Getty Images. Over three AHL seasons, Hellberg has appeared in 98 games, earning a 42-36-7 record, a 2.36 GAA, a .917 save percentage and 10 shutouts. He’s never posted a save percentage below .911, and has had a 2.33 GAA or better in two separate seasons. He’s appeared in one NHL game, entering the game in relief and playing for 12 minutes, allowing one goal. After training camp and the preseason games are over, I think that we will see Antti Raanta win the backup job, but it will be closer than initially thought. I think Hellberg will have a very good camp and open some eyes, but the experience of Raanta will win out. With Mackenzie Skapski out for the start of the season following hip surgery, Magnus Hellberg will probably wind up as the starting goalie for the Hartford Wolf Pack. Cedric Desjardins is recovering from an ACL tear, and he might not be the same player. So I expect Raanta as the Rangers backup, and Hellberg as the Wolf Pack’s starting goalie. Posted on September 12, 2015, in In the Crease and tagged Antti Raanta, Chicago Blackhawks, Henrik Lundqvist, King Henrik, Magnus Hellberg, Nashville Predators, New York Rangers, New York Rangers blog, NYR, Rangers, Rangers blog. Bookmark the permalink. Leave a comment.